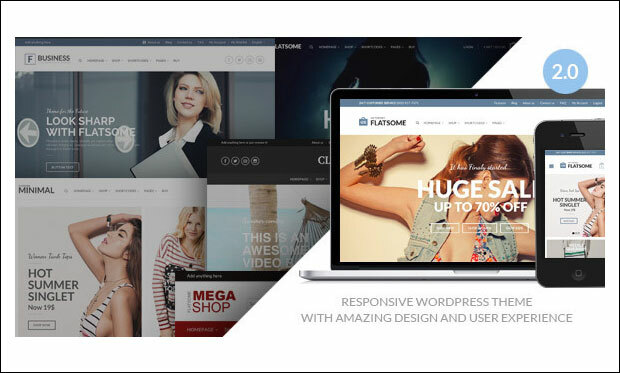 Responsive flat designed themes are currently trending in the WordPress industry. WordPress developers are coming up with many flat styled themes to add simple and professional look to the website without any clutter. 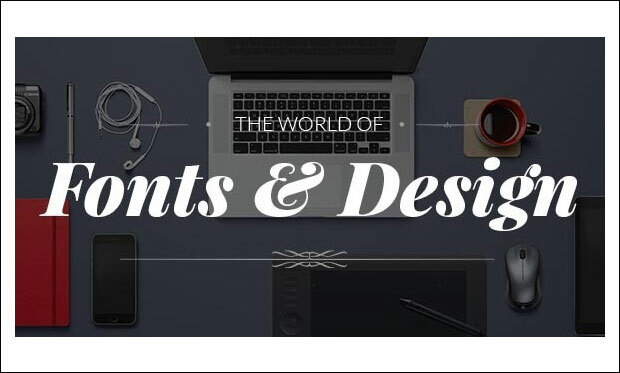 This handpicked collection of flat designed WordPress themes are best suited for corporate, magazine, news, blog, photography and business organizations. Due to its responsiveness, the website will scale down perfectly on devices of various screen resolutions. Flat styled WordPress themes are easy on the eyes of the visitors and provide them a remarkable viewing experience. You can customize layouts, colours, fonts, spacing, styles and typography options to keep your website really clean and minimalist. 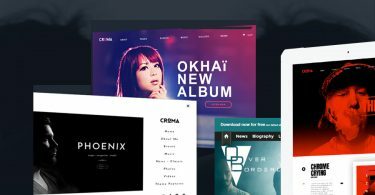 Check out the 25+ Best Responsive Flat Design WordPress Themes and choose the best one for your website. 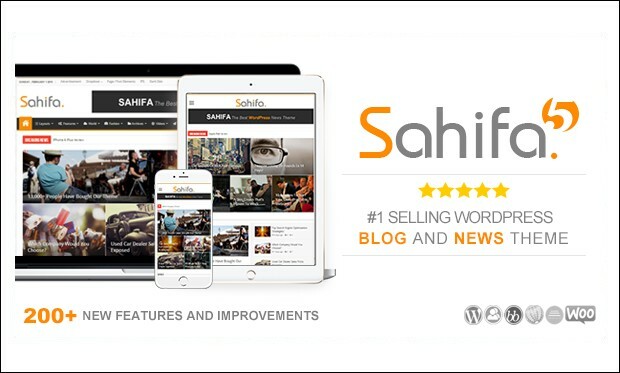 Sahifa is the ultimate flat responsive wordpress theme for WordPress News, Magazine, Newspaper, and blog Theme. It has the set of powerful features which help in the easy and fast development of your website with 400+ layout and color options. Newgen is the powerful and flat responsive wp theme for news or magazine website creation. It has many advanced features and plugins which help in the easy and perfect creation of the website which act as the perfect showcase for news or events. DialyMagazine is the clean and modern flat responsive wordpress theme for magazines that is coded with HTML5 and CSS3. It is completely responsive and is fully adaptable on any type of device like PC, smartphones or tablets. 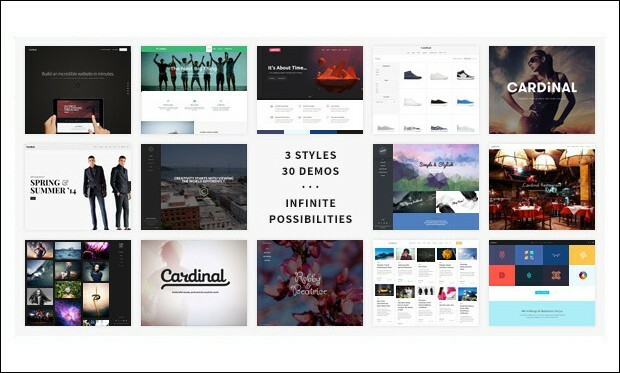 Cardinal is the ultimate flat wordpress theme that is compatible with all the latest and powerful plugins that creates the exceptional website for any kind of website. It is bundled with exceptional features to create the best websites. 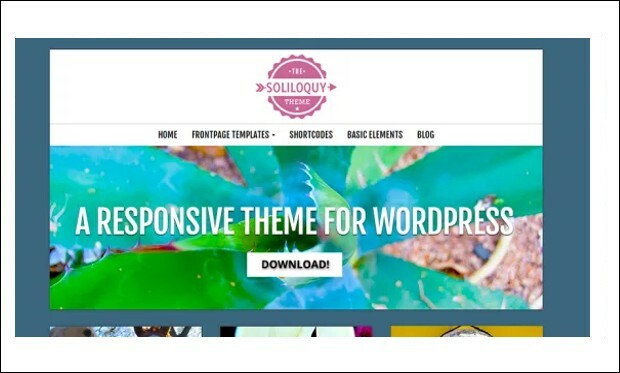 Soliloquy is the ultimate wordpress theme that uses the Bootstrap front-end framework that helps in creating the stunning websites for any type of business. It has the rich set of features which mainly focuses on developing the imagery and photography websites. 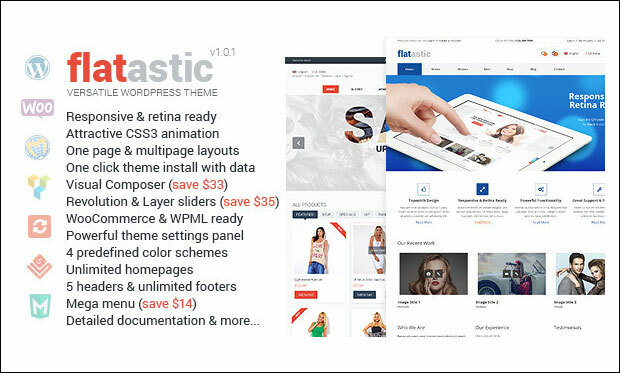 Flatastic is an ultimate WordPress theme featuring clean and flat design layouts. This theme can be used for creating personal, corporate and other similar sites. It features user friendly theme options panel for easy customization of the entire website. You can create stunning slides with custom transitions and effects using revolution slider and layer slider. This mobile friendly theme not only fits perfectly on mobile devices but even on desktop computer, laptop, tablets and smartphones. m2 is a flat and flexible WordPress theme that is programmed with HTML5 and CSS3 techniques. 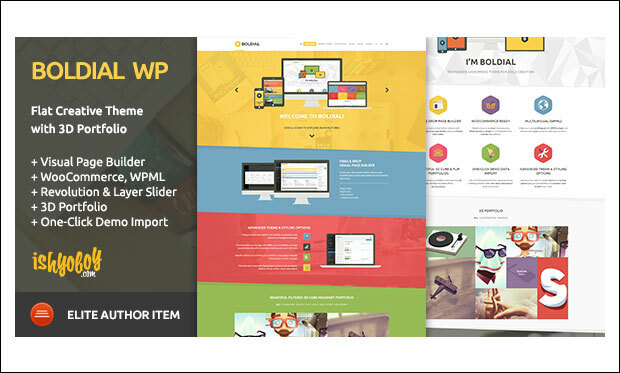 It is compatible with visual composer and revolution slider plugins. It comes with multiple shortcodes for adding tabs, testimonials, toggle, timeline, lense, skills, accordion, tooltip, content slider, Google map, tabs, section and many more. This theme is tested to run well on popular browsers as well as latest version of WordPress. 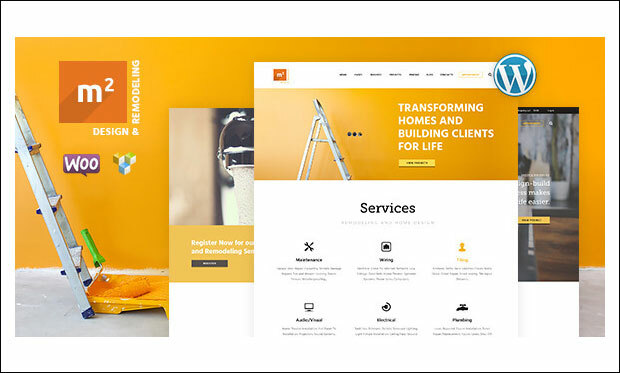 Credenza is a beautiful one page VC powered WordPress theme that makes use of visual composer in each and every aspect of the theme. Import the demo content of the theme in one click to make your site look similar to the one as shown in the live preview. This Ajaxed theme is SEO optimized and compatible with major SEO plugins like SEO by Yoast. It is WPML ready and RTL ready for translating the theme to Arabic, Hebrew and other languages. 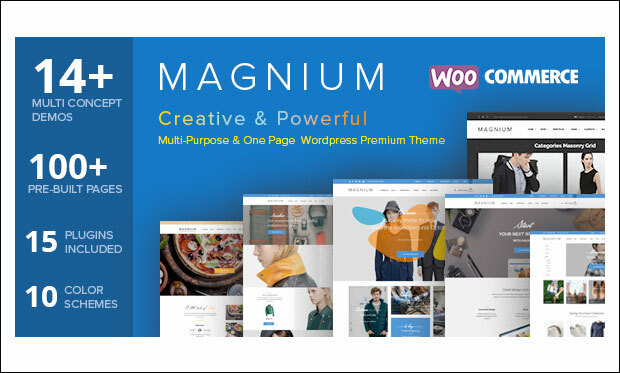 If you are in search of a flat styled WordPress theme for your regular website then Magnium would be the right solution. This theme is built on bootstrap 3 framework and comes loaded with a wide range of features to make your site stand out from the crowd. Design your site using 10 predefined colour schemes, unlimited header variations, homepage variations, contact page and about us variations. 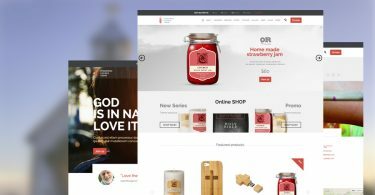 Fonto is a minimalist and flat styled WordPress theme for portfolio and online shop sites. This theme looks sharp and pixel perfect on devices of diverse screen sizes due to its fully responsive and retina ready layout. You can create pages, custom posts and post types with the help of drag and drop page builder. It is well documented to solve the potential queries of the users. 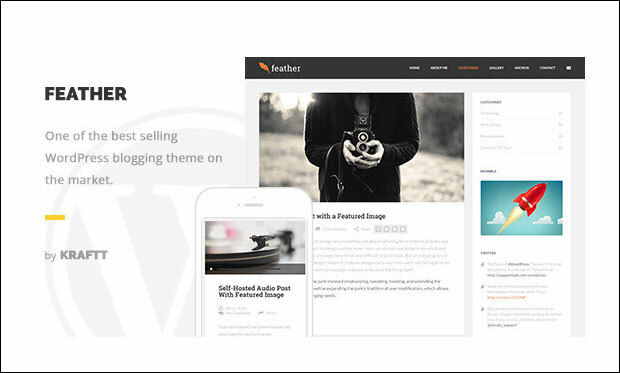 Flatsome is an amazing WooCommerce theme that supports the latest version of WordPress. This theme comes loaded with lots of features to help you with successful installation and customization. It is touch optimized to offer visitors a great navigating experience from their tablets and mobile devices. Users are provided with lifetime free updates to keep them notified with latest information. 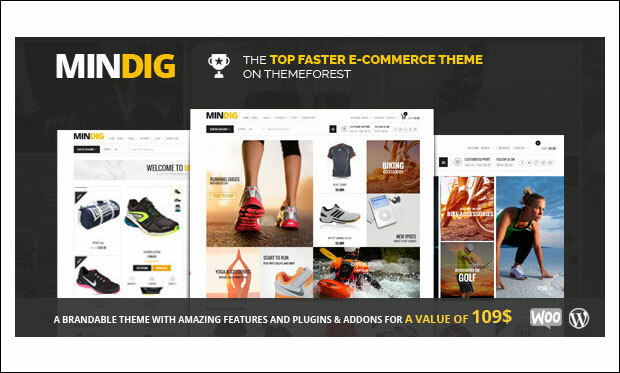 Mindig is latest eCommerce WordPress theme with flat design from Theme Forest. 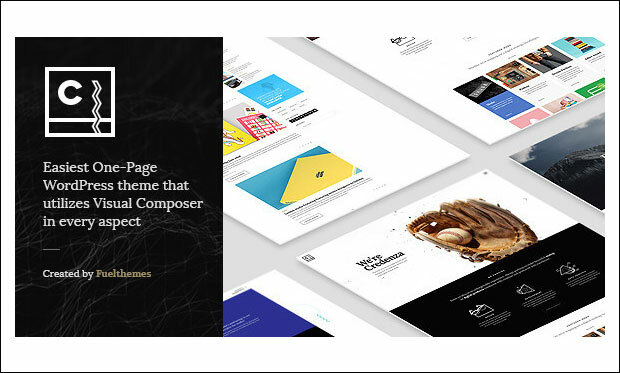 Due to its usable and flexible features, this theme is suitable for creating any kind of website like portfolio, corporate, one page, shop etc. 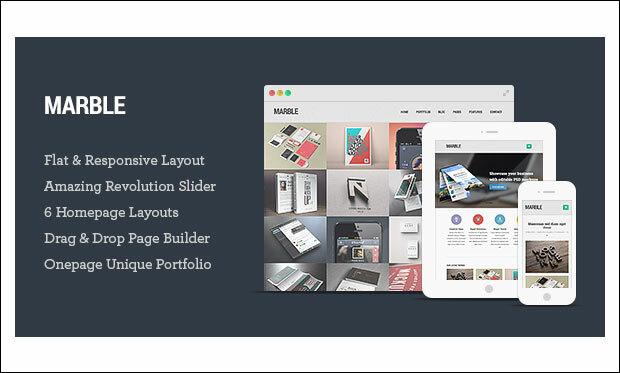 It includes live chat plugin and visual composer for creating unique page layouts. It is compatible with BuddyPress and bbPress plugins. 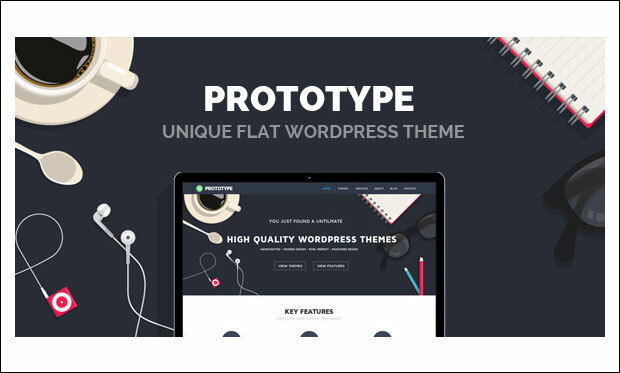 If you are in search of a unique flat designed WordPress theme to showcase your creative work explicitly then Prototype will help you in creating an amazing website. Due to its responsive and retina ready layout, this theme looks sharp and pixel perfect on all devices. Prototype is SEO ready to allow various search engines to crawl and index your site. 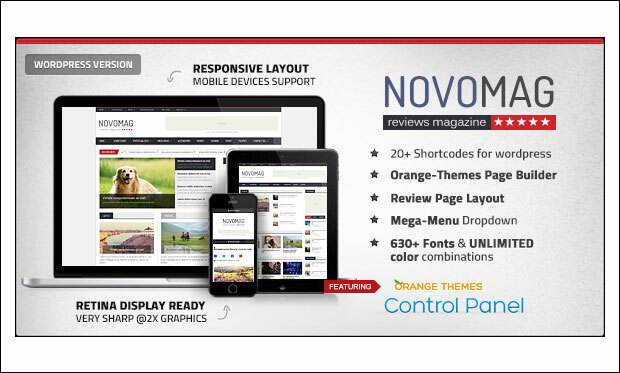 Novomag is a clean and flat designed WordPress theme suitable for creating review, publishing, blog and magazine websites. This theme is built with SEO best practices in mind to improve the ranking and appearance of the website. You can embed videos from YouTube to engage visitors into your site. It is tested to work well on popular browsers such as Google Chrome, Opera, Firefox, Safari and Internet Explorer. 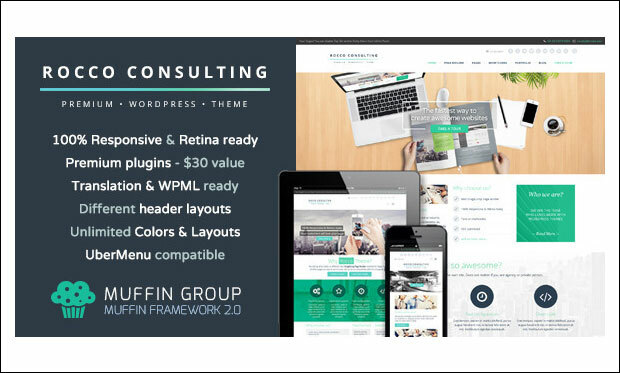 It’s an elegant flat designed WordPress theme that is based on muffin framework. You can create stunning slides by using revolution slider inclusive of 24 transitions effects. This theme is translation and WPML ready for translating the text to multiple languages. It is SEO ready and compatible with Yoast and All in one SEO pack plugins. 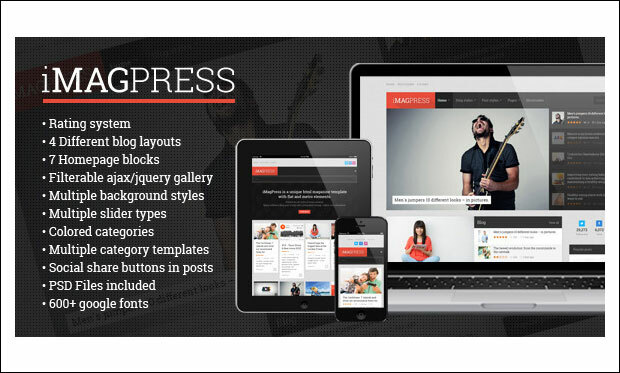 iMagPress is a versatile WordPress theme especially designed for creating magazine, news or blog sites. This theme features flat layout to provide visitors a great reading experience without any sort of distractions. You can add social share buttons on posts to let visitors share them across the social networking platform. Visitors can rate your posts from 0 to 5 starts via rating and review system. 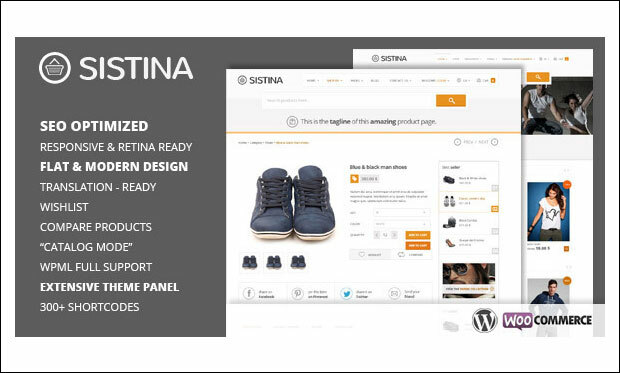 Sistina is a clean, fresh and flat styled WordPress theme that supports WooCommerce integration into the site. This theme is built with SEO best practices in mind to help various search engines to optimize your site quickly. It includes shortcode manager with 300+ shortcodes to improve the functionality of the website. It comes loaded with revolution slider, elastic slider, rotating slider, flexi slider etc. ThemeTastic is a flat designed theme that comes packed with lots of customization options to make your site stand out from the crowd. It is based on twitter bootstrap and HTML5 framework. If you encounter any issue then the step by step documentation will guide you in proper utilization of the theme. 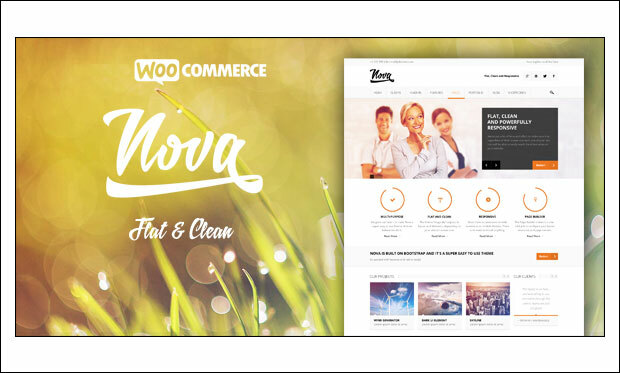 Nova is a flat and beautifully designed WordPress theme that perfectly adapts on desktop, laptop, iPhone, iPad, smartphones, tablets and android devices. Start building your own site with the help of one click sample content importer. 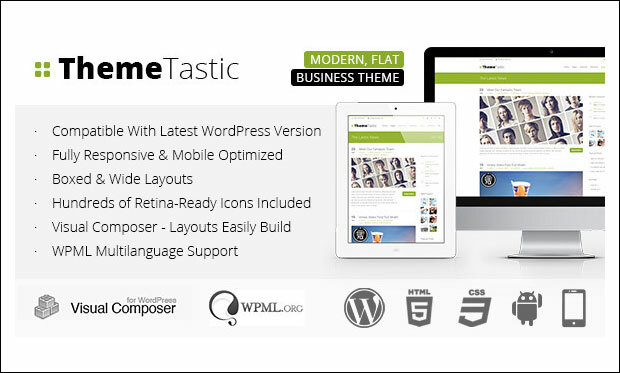 Important features of this theme are page builder, skin manager, shortcode editor, 12 headers, 6 custom nova sliders, font manager and unlimited sidebars. 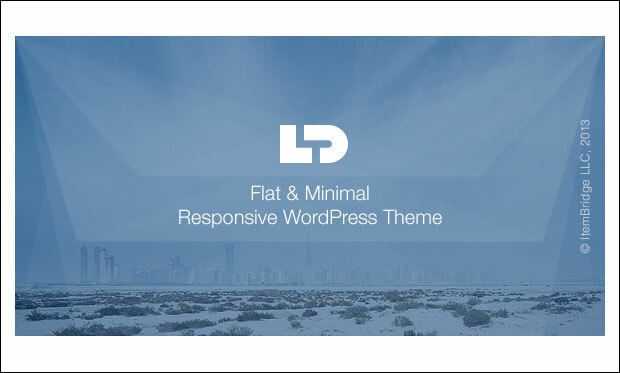 This flat WordPress theme is designed to impress visitors the minute they land on the site. It is child theme ready, retina ready, WPML ready and translation ready. Input data by using different custom post types like standard, gallery, link, quote, video and audio. Create full width slider with stunning transition effects via layer slider. 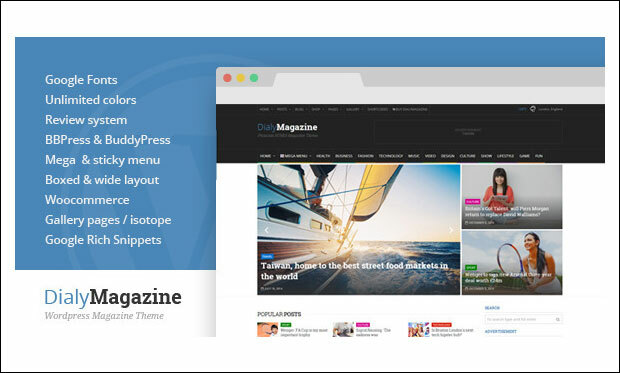 DialyMagazine is an elegant WordPress theme with flat styled layout. This theme is coded with HTML5 and CSS3 techniques and supports BuddyPress and bbPress plugins. 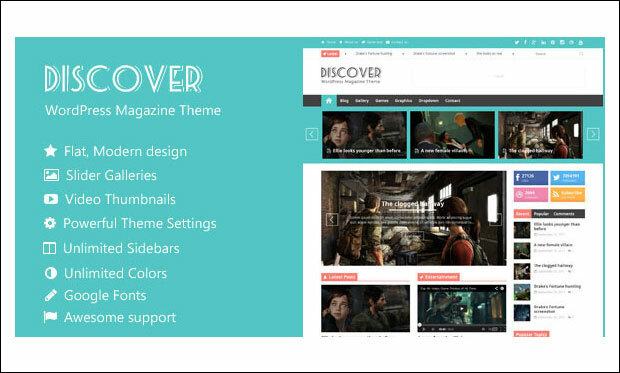 Install this theme for creating blogs, reviews and magazine websites. 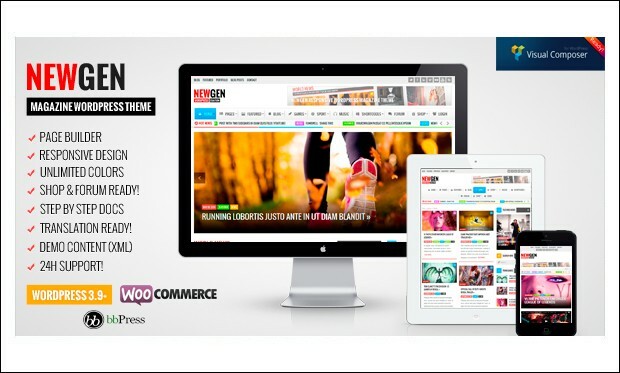 This theme is compatible with Woo Commerce plugin and includes PSD Photoshop files for easy customization of the website. This flat and minimalistic designed WordPress theme comes loaded with some powerful features to ease your website creation process. You can build multiple page layouts by simply dragging and dropping the controls via page builder. Import the XML demo content files in a single click including posts, pages, menus, widgets etc. This theme is compatible with popular browsers like Chrome, Safari, Opera, Firefox and Internet Explorer. 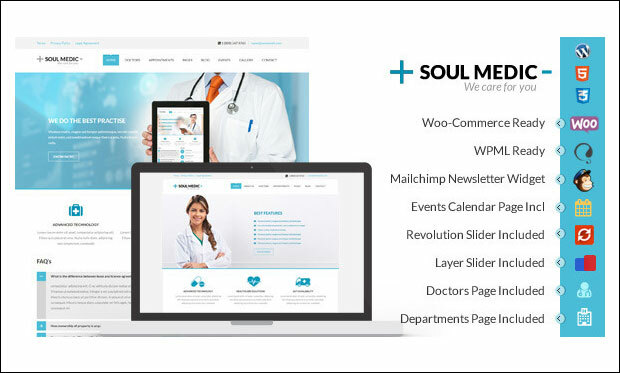 It’s a clean, simple and flat designed WordPress theme mainly designed for building health and medical websites. Give your site a unique look and feel by choosing from 20 predefined skins, full width and boxed layouts, unlimited layouts, 5 custom widgets and 6 unique page templates. This theme is built with advanced SEO to enable various search engines to quickly crawl and index web pages. 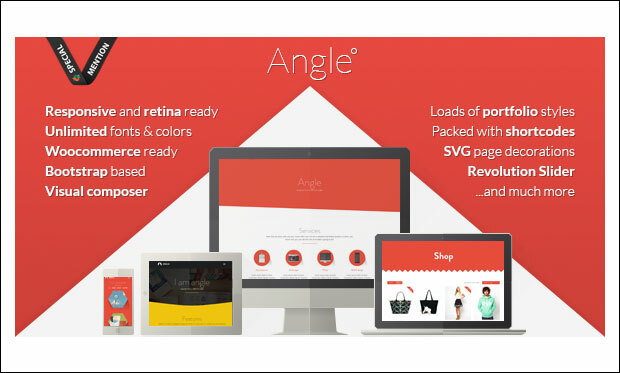 Angle is a flat and attractive multipurpose WordPress theme that is based on bootstrap framework. Due to its flexible and fully responsive layout, this theme looks and works great on all screen sized devices. Get started with your own site by installing and setting up this theme in one click. If you encounter any issue then the extensive documentation comprising of 30 videos will help you in solving your queries. If you are on look out for a flat and creative WordPress theme then Boldial will be the perfect choice for you. Boldial theme is suitable for creating3D portfolio sites to showcase your work elegantly. 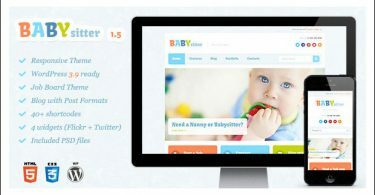 It includes child theme, advanced theme options and styling options. This theme is compatible with Contact Form 7 plugin for enabling visitors to send queries or feedback by filling up the simple form. 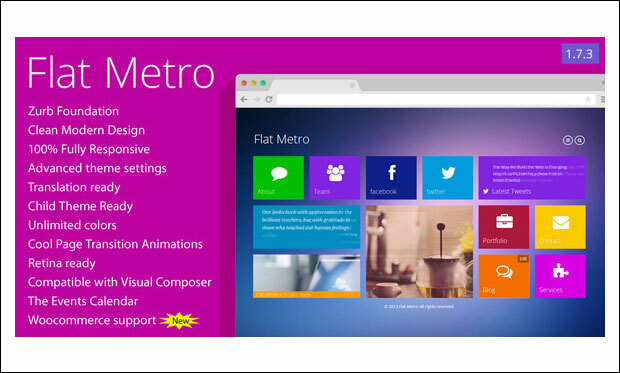 Flat Metro WordPress theme is designed to grab the visitor’s attention towards the site. This theme is based on Zurb foundation framework and comes loaded with useful features for easy customization of the website. This theme can be used for creating charity, agency, hosting, photography, travel and learning websites. Integrate Google maps to provide visitors with driving directions of your work location. It’s a flat and creative WordPress theme that is built on twitter bootstrap framework. 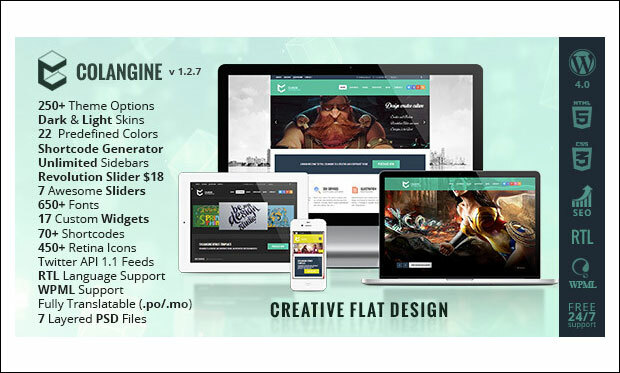 This theme works great for artists, photographers, creative agencies, digital studios, personal freelancers and other professionals who like to build powerful website. This theme is SEO friendly to improve website ranking and appearance of the site. It is compatible with major browsers like Chrome, Firefox, Safari, Internet Explorer and Opera. It’s a clean, simple and flat WordPress theme ideally designed for blog sites. Feather theme is powered with Redux framework and build on bootstrap 3. It features visual shortcode manager including several shortcodes to improve the functionality of the site. This theme supports Contact Form 7 plugin as well as major web browsers. Discover is flat yet stylish WordPress theme suitable for building magazine, blog and news websites. 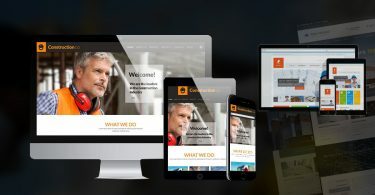 This responsive theme scales down on all devices from large desktop computer to small mobile screens. Different page templates are blog, archive, contact and full width slider. It includes contact form with reCaptcha to secure your site and prevent from spammers. 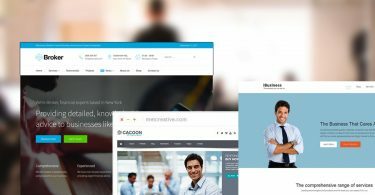 If you are in search of a flat styled WordPress theme for your corporate site then Revusion might be the perfect choice. 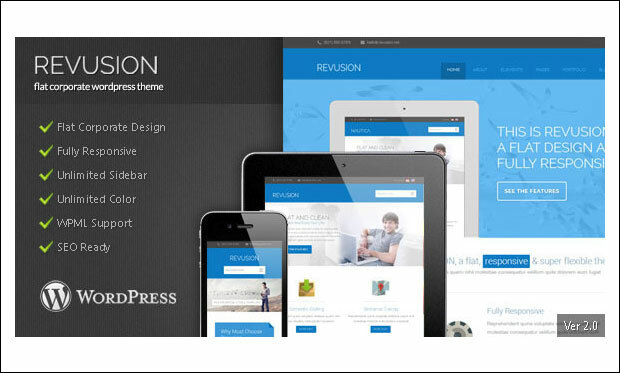 Revusion theme is responsive and retina display ready to make your website look sharp on any device. It is SEO ready for improving the website visibility in search results page. This theme supports WPML plugin for translating content to multiple languages. 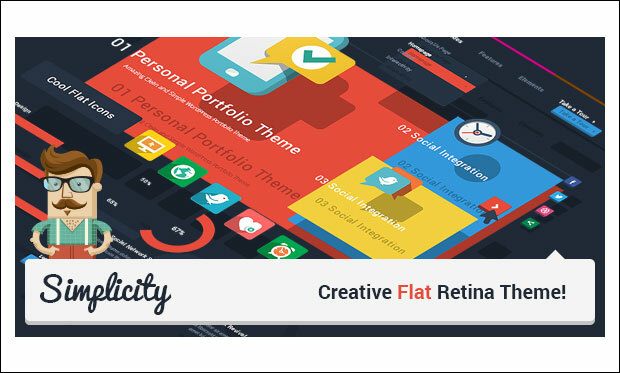 Its flat and fully responsive WordPress theme that comes loaded with powerful theme options. Design your site by selecting from light or dark skins and unlimited colours to suit your needs. Colangine theme includes 7 amazing sliders namely slider revolution, flex slider, 3D slice slider, nivo slider, lite accordion, roundabout slider and kwicks slider. It has full support for Right to Left languages (RTL) such as Arabic, Persian, Urdu etc. LightDose is both flat and minimalistic designed one page WordPress theme that is programmed with valid HTML5 and CSS3 techniques. This theme is based on the intuitive twitter bootstrap framework and helps users to easily configure and setup within few minutes. Impress your visitors by uploading fullscreen images or video backgrounds to your website. If you face any issue then the HTML detailed help documentation will come in handy.